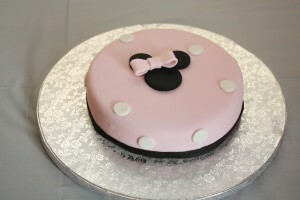 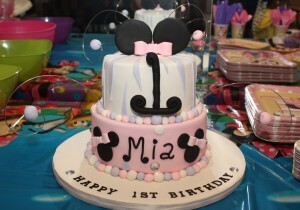 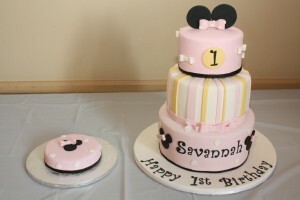 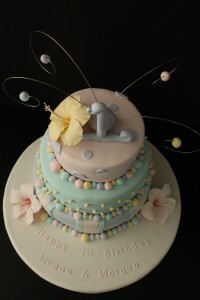 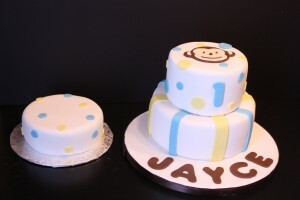 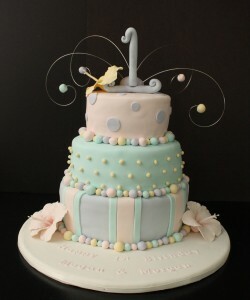 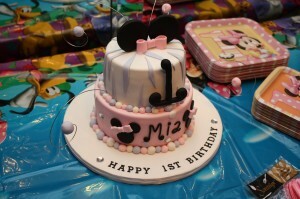 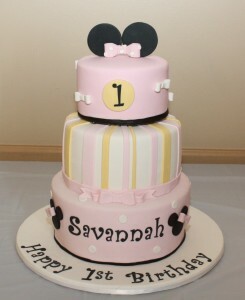 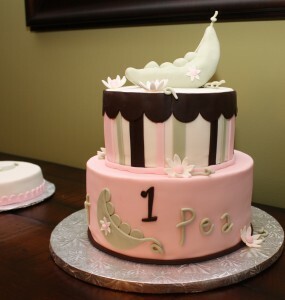 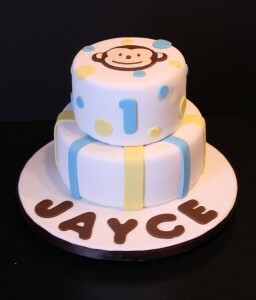 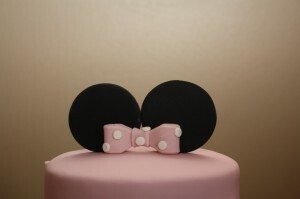 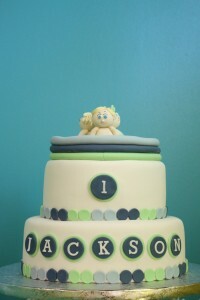 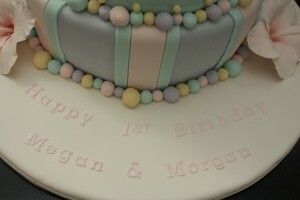 This cake was created for an adorable little boy named Jackson’s first birthday party. 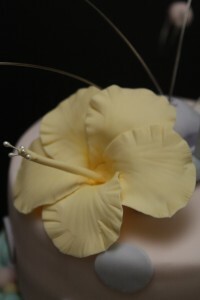 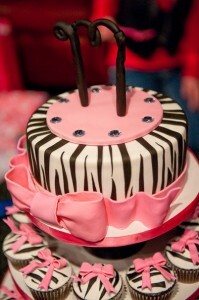 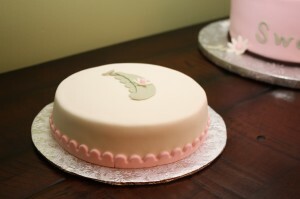 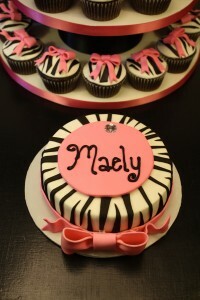 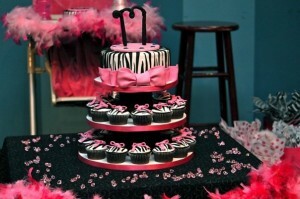 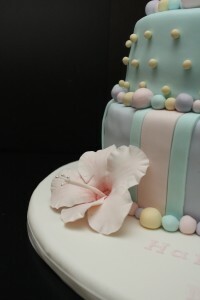 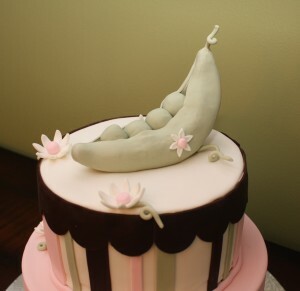 The banana cake was covered with vanilla swiss meringue buttercream and vanilla fondant. 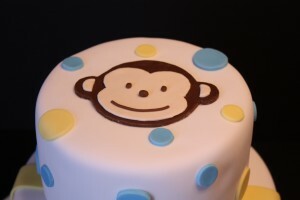 The color scheme was created to match his birthday shirt. 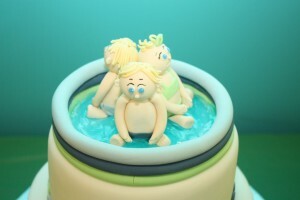 On top of the cake Jackson and his pals Elijah and Azela are playing together in a baby pool!